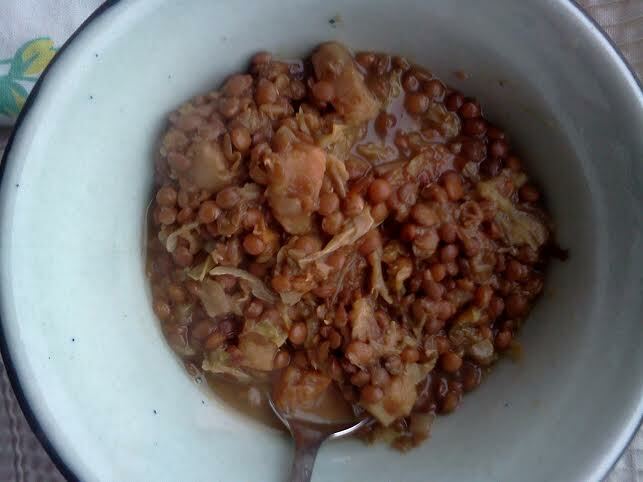 This entry was posted in Beans, Cooking, Dairy free, Gluten free, Slow Cooker, Vegan, Vegetarian, Winter and tagged Cooking, Gluten-free, lentils, Slow cooker, Vegan, Vegetarian, winter stew. This looks great! Especially with the parsnips, but I’ve never tried kombu! Thanks! I was really happy with it. As for kombu, it is a sea vegetable that “lends a delicious, meaty flavor to the beans (not at all fishy) and is mineral-rich, with additional B vitamins and trace elements, as well as a digestion-soothing gel that literally melts into the bean sauce.” (http://bit.ly/reIsZA) I use it primarily because it’s supposed to help with digestion, but I also like the flavor boost. That said, the lentils will be good without kombu.